You Voted! Q98.5 Listened! We Won! | Prairie View Farm Market, Inc.
You Voted! Q98.5 Listened! We Won! WON WHAT YOU ASK? BEST SWEET CORN IN THE STATELINE! 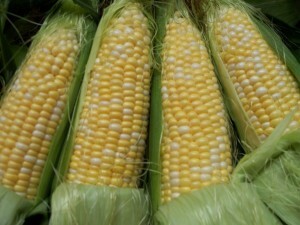 Q98.5 DJ, Mark Chavart, asked the question ” Who has the Best Sweet Corn in the Stateline Area?”. His listeners were able to vote on all week long via Q985online.com, social media (Twitter, Instagram and Facebook), E-mail and some even called in to Q98.5 with their choices. By the end of the contest, it was revealed that WE HAVE THE BEST SWEET CORN IN THE STATELINE AREA! So to those of you who are Corn Fed and Proud of it like Mark Chavart, don’t forget to stop in this season and get some the best sweet corn you will ever have. We want to thank all of you who took the time to vote for us! We are definitely blessed. With that in mind, we would like to remind you that sweet corn season is short. It usually starts Mid July and if we are lucky it keeps going until the end of September/Early October. So you have to get it while the getting is good. Our sweet corn is NON GMO and picked fresh every morning. if you want to purchase large quantities to freeze some for the winter, you should give us a call the day before at 847-683-4970. What is the best way to cook sweet corn? Everyone will have their own opinion I am sure. But I still like to boil mine. Peel off the husk, clean off the silks, and put your corn in a pot of boiling water for no more than 7 mins. If you cook sweet corn too long, it gets starchy and tough. So 7 minutes is plenty. Then immediately remove the corn from the water or it will keep cooking. Slather with butter and ENJOY! Read More: Top 12 Places to get Sweet Corn in the Stateline.